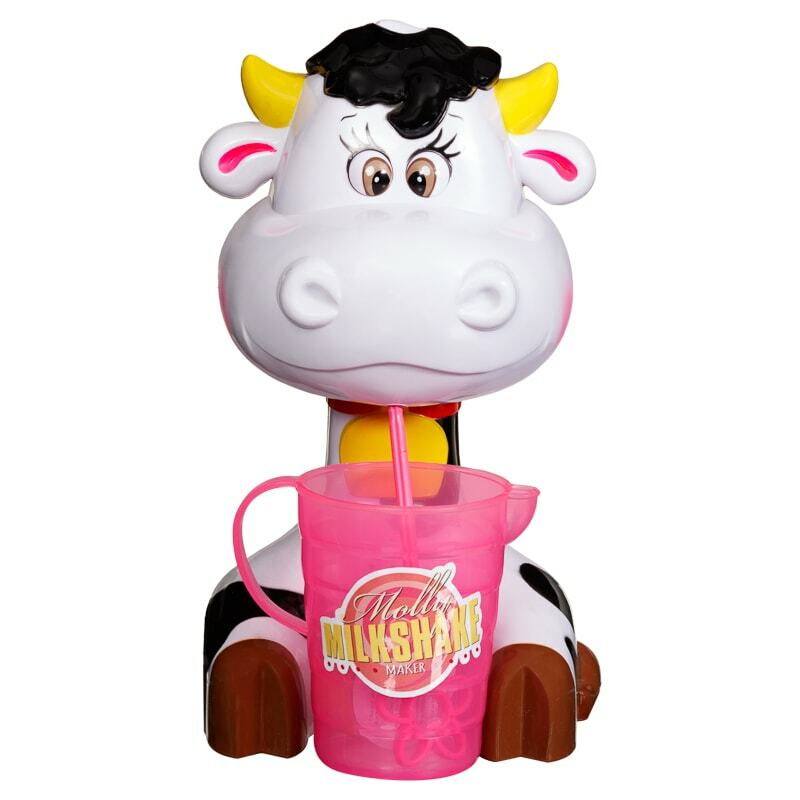 Kids will love making home-made drinks with Molly the Milkshake Maker. 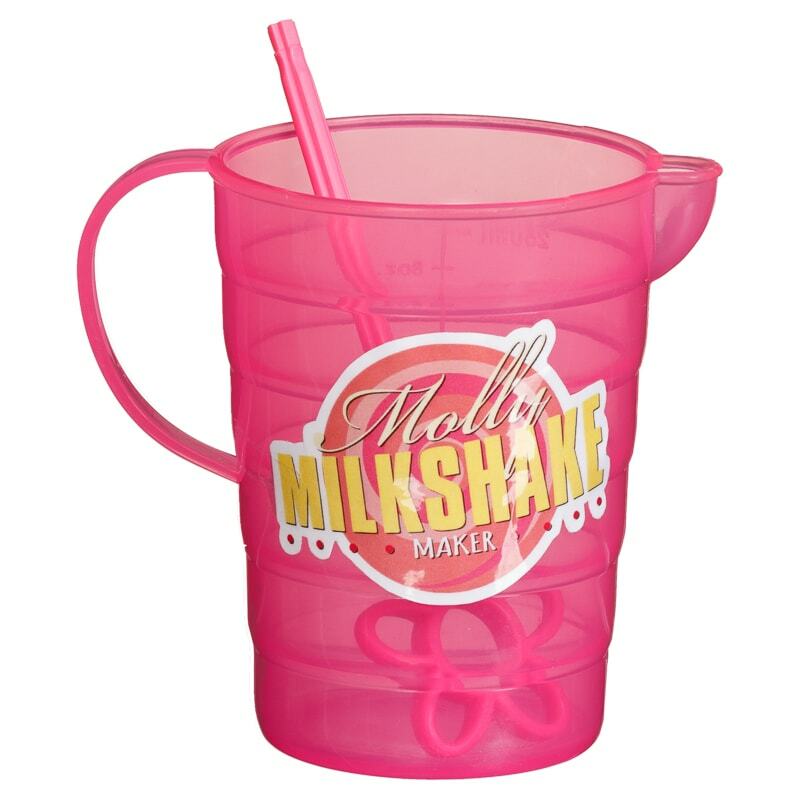 Fill the pink jug with milk and flavoured yoghurt, place under Molly's mouth and pat her on the head. 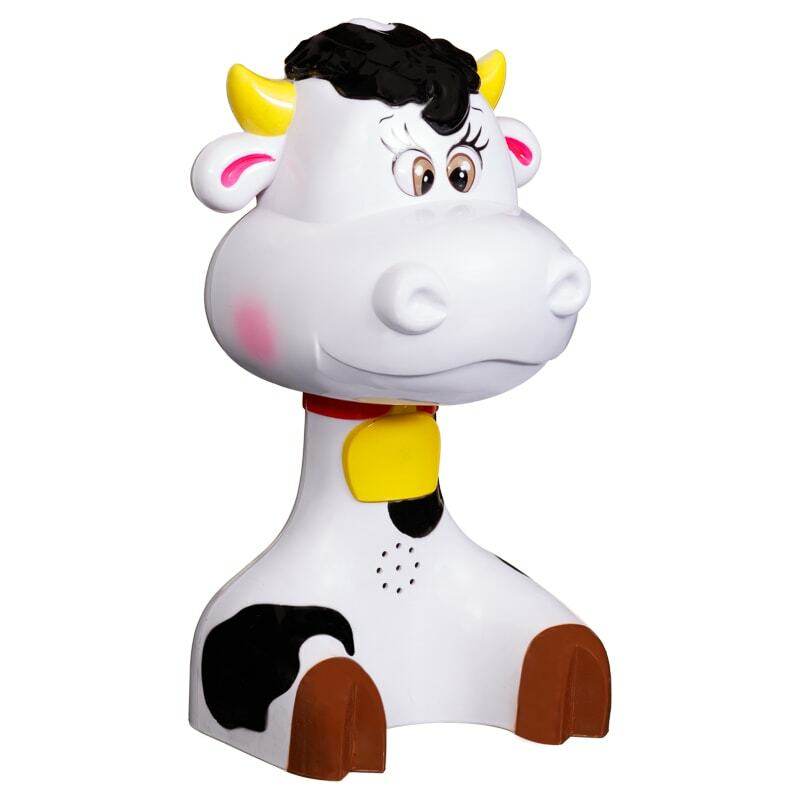 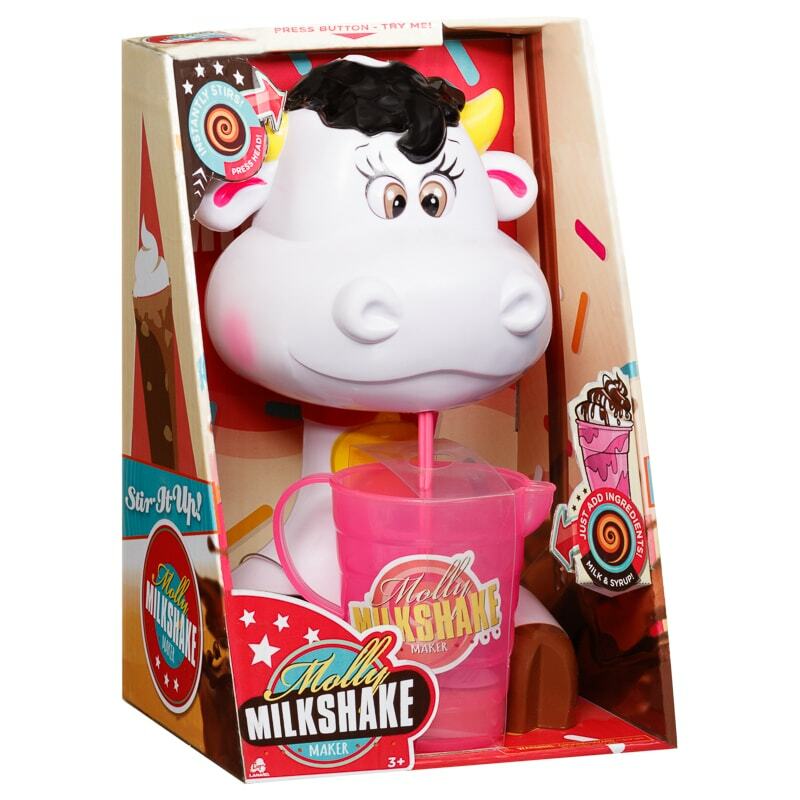 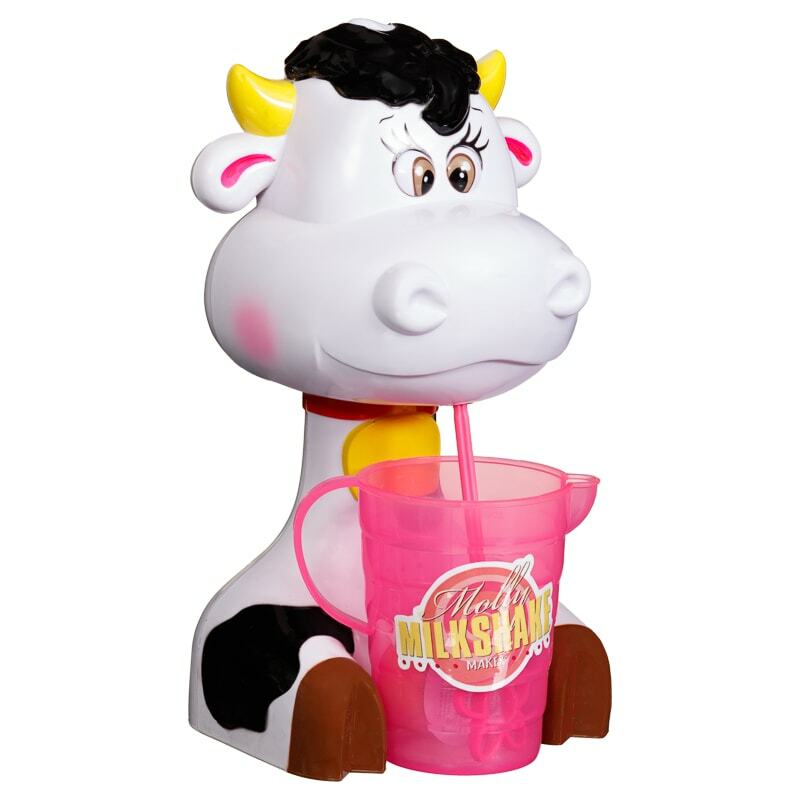 She excitably moos causing the flower-shaped whisk to spin around and around to whip up a delicious, creamy milkshake. 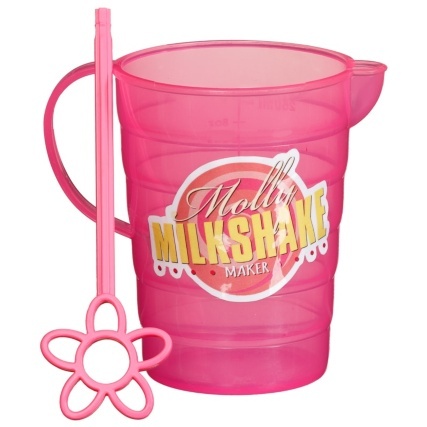 Contains recipes for 4 milkshakes.